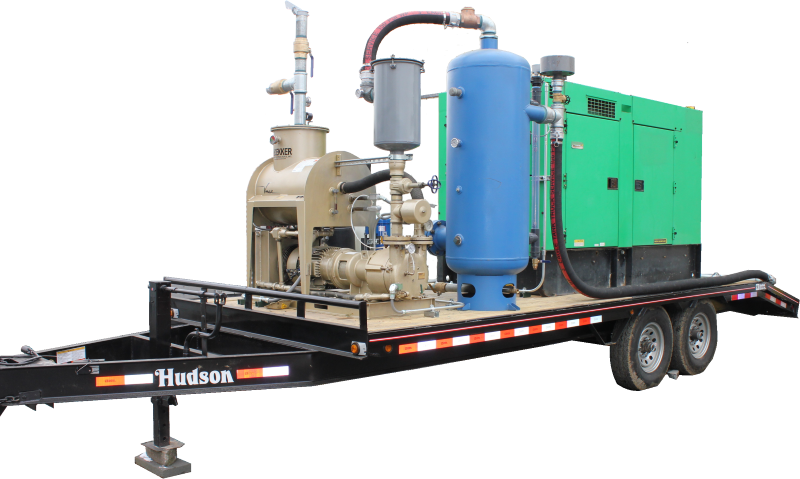 Dual Phase Extraction Remediation System Rentals | Enviro-Equipment, Inc.
Enviro-Equipment Inc. rents dual phase extraction systems for liquid and vapor phase remediation. The equipment listed below is our current rental inventory for dual phase extraction systems that are ready to rent. We also have a large inventory of Used Dual Phase Extraction Systems in stock that can be made available for rental upon request and a proper amount of lead time. Our dual phase extraction remediation systems are 5 HP and larger to handle multiple well applications. See our Dual Phase Extraction Pilot Test System Rentals page for smaller systems designed to run a single well pilot test (typically 3 HP and smaller systems). If you do not see a unit in stock for your remediation applicatoin, we have a large stock of Used Remediation System Components to build custom remediation systems for your application. Special pricing and rent to own options are available for long term projects. Call us at 866-655-8267 or email us at remediation@enviroequipment.com for questions or to request more information.